The best game trailer in town is the game truck by rolling video games. Located In Anaheim California. 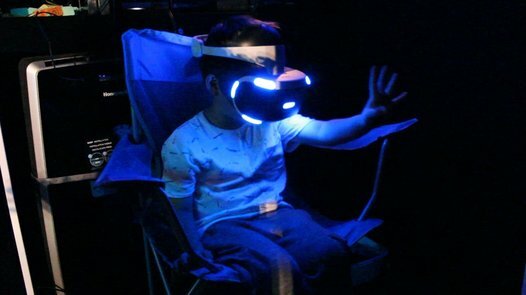 What is a mobile video game theater? It is an Orange County game truck with widescreen high-def TVs cover the walls in front of custom stadium seats with built-in vibration motors synched to the on-screen action with speakers in front and back. Everything is linked, so 16 players can play. This is the supreme birthday idea or fundraising method that will top them all. Play as a team enjoy different games, because there are plenty to choose from- from Wii, Playstation and Xbox 360 with a "Game Coach" to help anyone who needs it. Since there are no single-player games, it's the ultimate party for a group to have fun together at birthday parties, events, festivals and more! 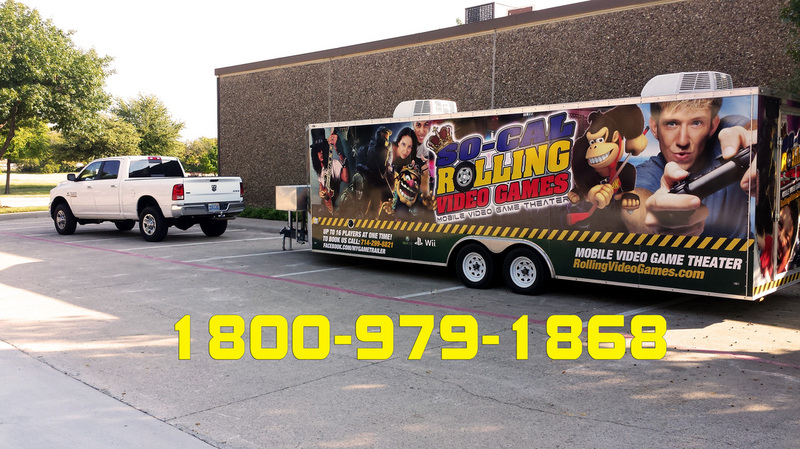 There is no game truck today that will thrill your crowd the way Rolling Video Games can! Need to throw a Rolling Video Games - game truck party? Church events, kids party, teen party, corporate party, adult party, bar mitzvah, picnics, holiday party, park party, Grand opening party, tournaments, school events, business promotion,communion, Graduations, Family Reunions, Fundraisers. "This was the easiest party ever. My house stayed clean!! All the kids had a blast. The game coach was GREAT!!" - Kim J. "I wanted to email and thank you for your professionalism of handling all of the rug rats. Jason was SO surprised when he saw all of his friends inside the game theater waiting! This was a great idea..." - Jackie T.
"I am surprised how well the Game Coach handled all of the kids. They all wanted to play different games and had questions and demands, but you guys were cool and calm. WHAT A GREAT IDEA. Who says you can't please all the kids at a party?...." - John and Cindy S.
"The kids should have brought sleeping bags because they could have spent the night in that trailer. .... It's the best party ever, ever, ever. We'll be booking next year. ...Thanks for making Tyler feel like a king. That as a nice touch...." - Allyson H.
"Your truck was the biggest attraction at the fundraiser by far and thank you for handling the tickets. It was chaotic in a good way. People bought tickets just for you. I know people will be calling you for parties after yesterday...." Michelle N.
"I posted info about our party on Facebook and RAVED about it. I know this is the coolest party thing, now! Of course, we are the trendsetters, lol..." Denise K.
"My husband Rick is not easily impressed. I have to tell you that he came back in the house and said that your game theatre is the best party in the last decade around the Bennett family. The only hard part was getting the boys out of there! Thanks for staying over longer than you were supposed to....."
"The truck pulled up to the house and the kids went wild. That's when I knew it was going to be a great party....Sorry if things got too insane for you guys. They were just so excited...." Zayn F.
"Thanks for the best birthday party Dylan has EVER had. He's been talking about it ever since Saturday.... This topped last year a million times over....He wants it next year too." Olivia W.
"...Why hasn't anyone thought of this before? I had no idea what to do for Jack's 13th party and I'm glad I saw your truck at the Normal - palooza." Paulette V.
"This is the first party that everyone invited came! And then some. The ice cream cake was great too! I don't think they noticed the cake because they gamed the whole time!" Jessica B. LOVE THIS!!! - I have to tell you - the invitations have all been given out and this is the first time EVER that within 24 hours, I have had the parents actually RSVP immediately! There are actually excited for the child! We are looking forward to this party! 2 weeks and counting! Susan M.